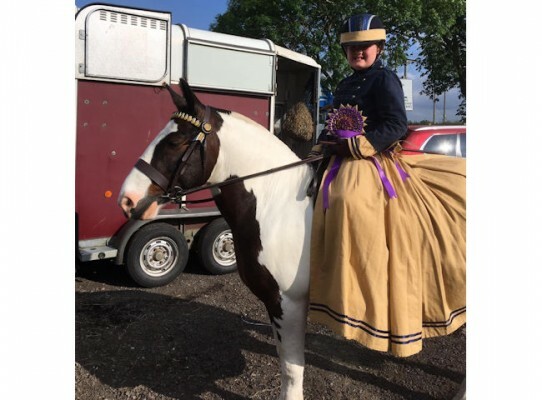 12.2hh coloured cob & ideal first ridden pony. He will hack out alone or with others, no problem with heavy traffic and has seen it all. This little pony has so much to give and is so sweet. Will pop over jumps and is well schooled. Good to travel and stands at shows, been in numerous classes with good results. Lovely to handle in and out the stable, brilliant with farrier, teeth, worming & clipping. Grandchildren have bathed and pampered him and sit on him bare back. Ben is a genuine showy little goblet and is looking for a good home. Absolutely worth his weight in gold. Granddaughter has out grown him and moving on to a bigger horse.